The province of Romblon is composed of three islands; Romblon (main island), Tablas Island and Sibuyan Island. It is bound on the north by the province of Marinduque, on the south by Panay Island, on the east by Masbate, and on the west by Mindoro. From Manila, it is about 187 nautical miles or 169 air miles. Largely mountainous and rugged in terrain, the islands of Romblon are volcanic in origin. The highest peak is 2,057 meters above sea level. Romblon covers an area of 1355.9 square kilometers divided into 17 municipalities – Alcantara, Banton, Cajidiocan, Calatrava, Concepcion, Corcuera, Ferrol, Looc, Magdiwang, Odiongan, Romblon (Capital), San Agustin, San Andres, San Fernando, San Jose, Sta. Fe, Sta. Maria (Imelda). Although there are three main dialects in the province, English and Tagalog are widely spoken, read and understood by many. Well south of Manila in the Sibuyan Sea , is a cluster of 20 islands that make up the province of Romblon. Touted as the Philippine marble capital, its marble products match the best the world has to offer. Romblon is not just about marble however; it also has rich deposits of many valuable metals and ores which make it one of the richest provinces in terms of natural resources. 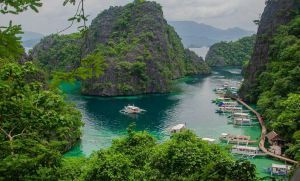 Existing in relative isolation from the rest of Luzon, Romblon retains much of its Spanish legacy and its natural attractions are largely unexplored. Lining the shores, which are the three major islands – Romblon, Sibuyan and Tablas, are some of the best, most unspoiled beaches in this part of the country. Ringed by palm-fringed white sand, these beaches boast a wealth and of marine life offshore. Inland, there are a number of waterfalls and an inland salt lake. Romblon boasts of lush land and seascapes that offer the visitor many opportunities for adventure. Its natural bounty lends itself easily to many activities like SCUBA, snorkeling, bird watching, trekking and many other in between. Trade is a big part of the province’s economy; its location at the center of the archipelago provides the province with natural safe harbors that can accommodate large ocean vessels. 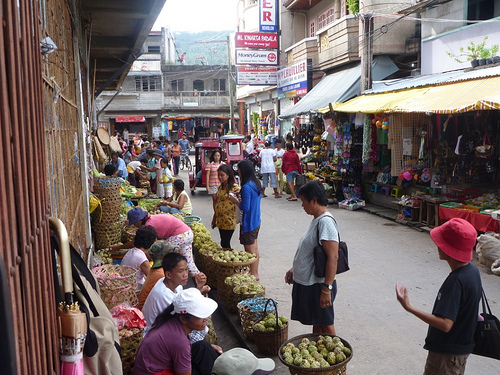 The usual charm and hospitality of the Filipino can be found in abundance in this province. Romblon is home to 263,000 people spread out over its three main islands and Romblonanons stand proud of the fact that theirs is one of the safest and most peaceful provinces to visit. Adventure, recreation and leisure abound in Romblon. It is blessed with an abundance of natural playgrounds and its many natural attractions, both on land and offshore, ensure that the visitor’s itinerary will always be filled with memorable places to visit and interesting things to do. Snorkeling or diving in Romblon’s pristine marine sanctuaries is a popular activity when visiting the province. The island’s living ecosystem is home to an abundant array of corals, fish and other marine creatures thus becoming a testimony to the success of conserving natural marine resources. Spelunking in Romblon’s caves gives the visitor a glimpse of the prehistoric past. The minerals that glisten alongside the centuries old stalactites and stalagmites offers a view seen only by a few. 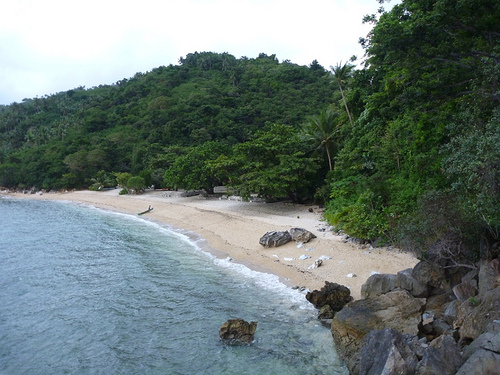 Romblon easily lends itself to trekking. The trails that dot the province offer a challenge to people of different skill levels. The Tablas Tree Farm and Wildlife Center offers a view of Tablas from more than 200 meters up while Mt. Guiting-guiting in Sibuyan Island offers a challenging climb to its 2 kilometer peak. For those craving for something sedate, the province’s many white sand beaches offer a relaxing respite to visitors wanting to spend a lazy day basking in the sun or swimming in the ocean’s cool, clean water or just watching a beautiful sunrise or sunset. 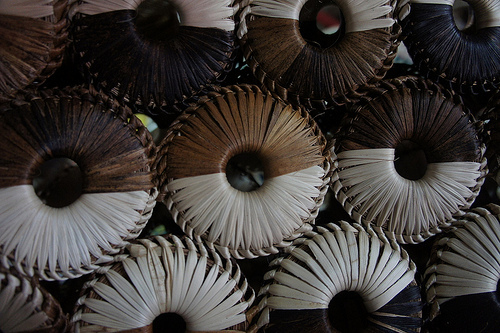 Other possible activities that can be done in Romblon province include shopping for native handicrafts, bird-watching, mountain biking and sight-seeing. 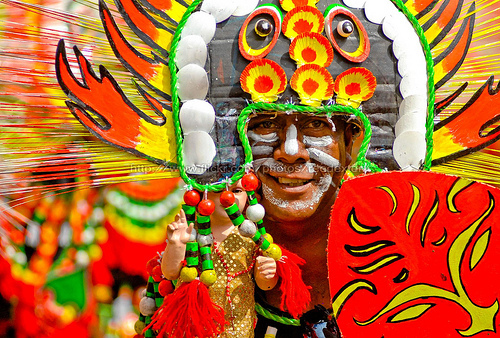 The Philippines is known for its frequent and colorful festivals. People from all walks of life clad in exceptional costumes, parade around town regaling onlookers with outlandish presentations. Romblon is no exception to this practice. 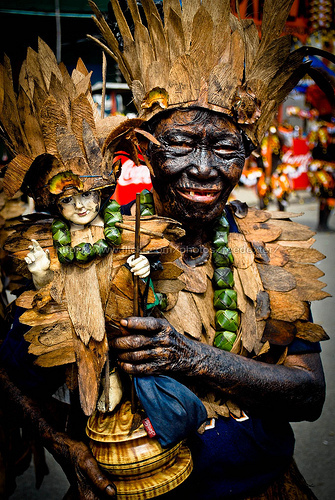 Its Biniray Festival, a nine-day affair dating back 400 years is celebrated every January. This festival is marked by a carnival atmosphere, merrymaking and dancing. A flotilla of vessels also circles around Romblon Bay seven times re-enacting the futile Spanish attempt to leave with the statue on board. Legend has it that strong winds and rough sea conditions stopped every attempt of the Spaniards to bring their newly commissioned image of the Sto. Nino back to Spain. They tried seven times but were unable to go until they left the image on shore. 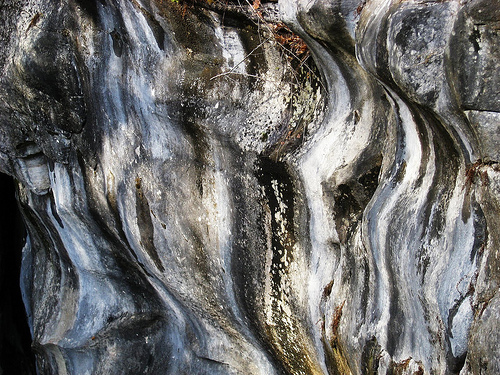 The marble that comes from Romblon is a source of pride for the country. The marble, its quality at par with the world’s best, is a lucrative export and is highly valued by sculptors and by builders everywhere as a fine building material. All of Romblon’s islands are blessed with sizable deposits of this mineral and the quarries that produce raw materials do not fear running out of this commodity because of the virtually inexhaustible supply. The small island of Alad alone has enough marble to last 20 years if quarried daily. Despite being the country’s leading producer of marble, the balance of nature in Romblon is still beautifully preserved. This leaves no doubt that man can still reap the rewards of the earth without destroying it. 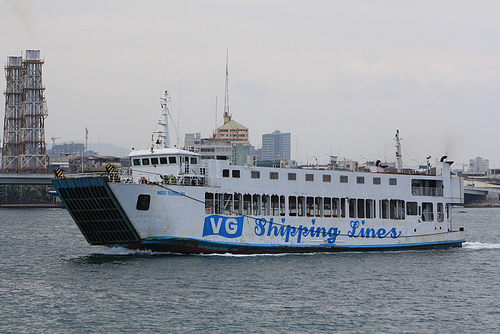 Going by sea transport usually takes 10 hours from Manila’s Pier 8 but an alternative would be to embark from the Port of Batangas for the 8 hour trip to Odiongan. When going by air, charter services are the norm since there are currently no regular flights to the Tugdan Aiport in Tablas Island. Getting around Romblon is usually done via pumpboats, jeepneys and tricycles. 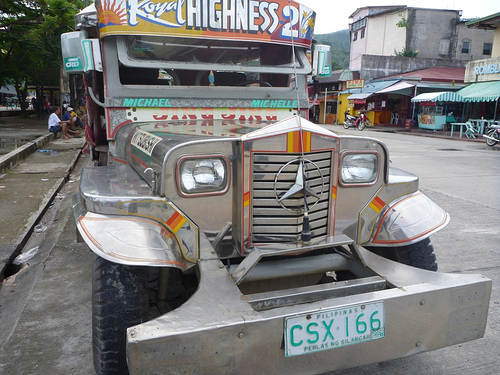 Jeepneys link the municipalities farther from the port of entry. It is advised that appropriate sportswear and footwear be used. For trekking casual wear is the preferred attire for most visitors. Guyangan Caves – these burial caves are considered to be the oldest in Southeast Asia. Believed to be the source of the Ikat or Banton Burial Cloth. Fort San Nicolas – built by the famous Recollect friar Fr. Agustin San Pedro, this fort protected the people of Banton from Moro raids. Mt. Banderahan – American soldiers climbed this mountain in the early 20th century to plant an American flag. The flagpole is used by mountaineers as a landmark. Manaha Beach – a wide stretch of white beaches offering relative seclusion to its visitors. Cawayan Park – this thickly forested area is a refuge for wild flora & fauna. Wild boars and monkeys are commonly seen here. Trangkalan Grotto – features icons of the 14 Stations of the Cross. 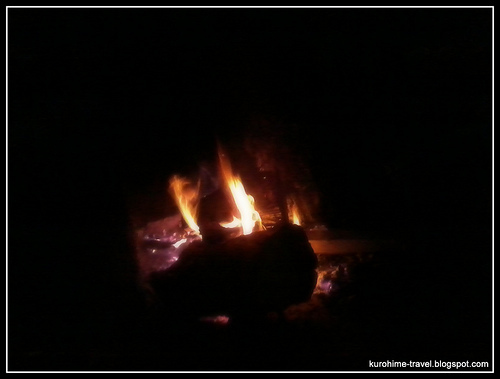 The quiet surroundings makes it ideal for meditation. Oregon Rock – two giant black boulders that stand guard at the entrance to Romblon Pass. The larger of the two boulders towers more than 65 feet high. Tinagong Dagat – measuring forty-feet in diameter, this pool of saltwater is separated from the ocean by no more than 33 feet. St. Joseph Cathedral & Belfry – built by the Recollect fathers, this limestone and brick church is the oldest Catholic church in the province. Fort San Andres – this coral and brick structure once guarded the people of Romblon from pirates. It is now being used as a weather station. Mt. Guiting-guiting – peaking at almost 7,000 feet, Mt. Guiting-guiting offers a challenging ascent to even seasoned climbers. The summit offers wide views of Romblon province as well as Marinduque. Paseo de Magdiwang – found close to Magdiwang beach, this area boasts of agojo and pine trees older than the park itself. Mablaran Falls – one of the more popular swimming and picnic sites, this waterfall drops into a 20 foot deeps pool of blue green water. Bangko -bangko Point – this attraction earned is name from the unusual rock formations that resemble chairs (bangko). Poctoy Beach – fine gray sand covers this beach but this attraction makes up for its lack of the preferred white variety by showcasing breathtaking sunsets. Tuburan Falls – this natural wonder features seven waterfalls and local folklore claims the cave near the falls leads to Cayatong or the land of the fairies. Sta. Maria Beach – walking barefoot on this gravel beach is said to beneficial to people with arthritis because of its accupressure like effect. Cawa-Cawa Falls – bykettle shaped pool was naturally carved out of solid rock by cascading water. It is filled with native shrimp called Uyang. Alibagon Beach – a small crescent shaped white sand beach ideal for swimming, sailing and trekking. Mainit Falls – its warm waters cascade through three layers that form three deep pools ideal for bathing. 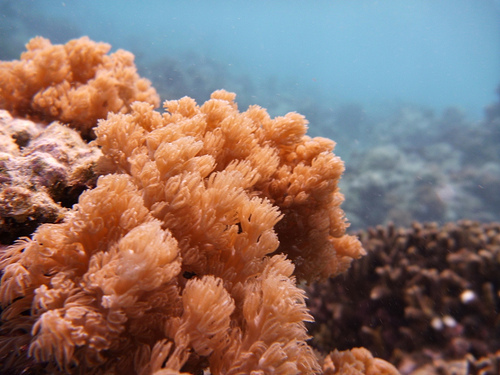 Looc Marine Sanctuary – a protected area which is home to a large variety of fish and corals. Features a lighthouse standing within the protected area. Binocot Beach – located at Barangay Bunsoran, south of Ferrol town, this secluded attraction is similar to Dakak Park in Dapitan. Beach cottages and a restaurant are available. 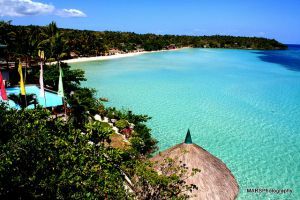 Aglicay Beach Resort – a cozy white sand beach resort with complete amenities and full service. Features a house reef ad beatiful sunrise and sunset views. Canyayo Beach – this beach is composed of white sand and crushed corals while the sea floor is covered with pebbles. Tinap-an Beach – its powder like white sands and clear waters rival those of Boracay. It also showcases cliffs, a labyrinth of caves and a large coral reef. 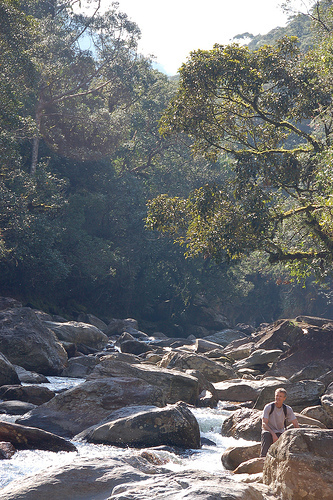 Cantingas River – the constantly flowing water of this river is crystal clear, odourless and tasteless. The water is so clean that one could drink it while swimming. Cresta de Gallo – this 5 hectare, kidney shaped islet features lush terrain which slopes gently to a white sand beach. 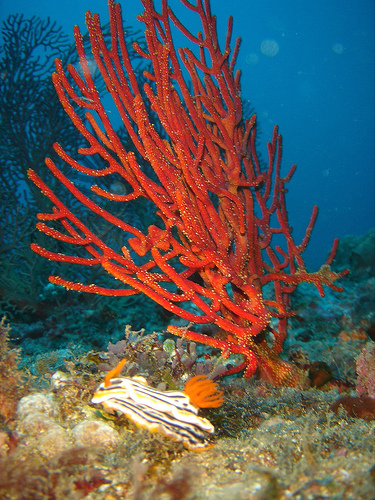 The islet is surrounded by coral reefs and rich marine life. 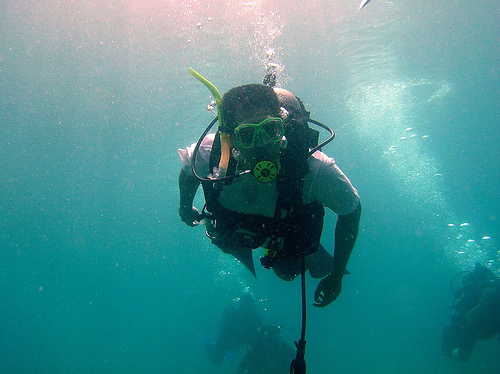 Ideal for snorkeling and SCUBA diving.